The wonderful island of Skiathos is the perfect honeymoon destination in the northern Aegean. Boasting truly exotic landscapes and blessed with a golden coastline and impressive verdant nature, the island offers a great spot for couples to enjoy privacy and romance. For a delightful honeymoon in Skiathos stay in lovely Skiathos suites with panoramic sea views, relax in stunning sandy coves, surrounded by pine trees, and visit the main Town and Kastro for a romantic walk and night drink. There are several places all over Skiathos, where you can experience a most romantic honeymoon. Preferably choose a place with sea view, like the many Skiathos suites and hotels located on the major road within a walking distance from Skiathos Town. Our Skiathos Garden Cottages are an ideal retreat for your honeymoon in Skiathos, providing amazing views to the Aegean Sea and absolute privacy. One of the most romantic activities to do during your honeymoon in Skiathos is a yacht trip. Yacht and boat trips depart daily from the port of Skiathos Town and make the tour of the island or visit other nearby islands. There are yachts that travel around Skiathos, allowing visitors to swim in fantastic private coves, stroll around magnificent villages and admire astonishing sceneries. The most popular yacht and boat trip is the one to the exotic landscape of Lalaria, a white pebbled beach at the northern part of the island with extraordinary rock formations and underwater caves. There are also yacht tours to Skopelos, another island of the Sporades with green nature and amazing sandy beaches. Enjoy a romantic walk in Skiathos Town, around the scenic port or past white washed houses and little taverns. The cosmopolitan and charming atmosphere of the Town is ideal for young couples. The best walk is in the evening when you can have a drink at the many bars in Kastro area, a beautiful medieval settlement. 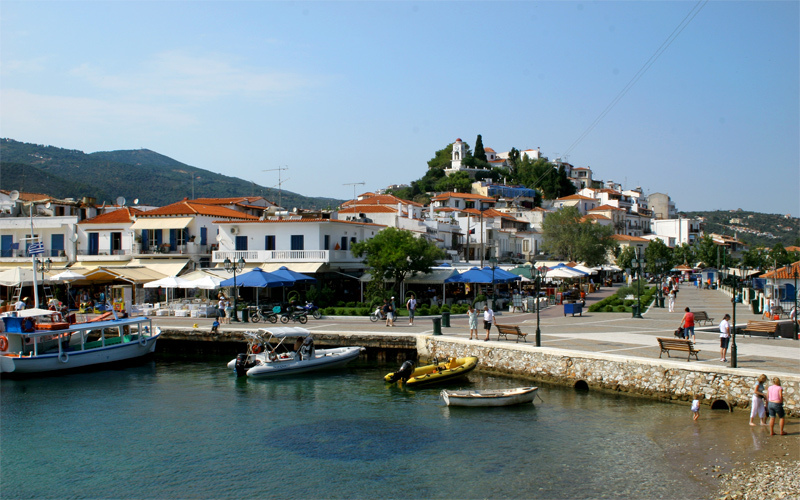 The waterfront of Skiathos Town is also lined up with cafes, bars and clubs for a late drink and dance. © 2019 Skiathos Garden Cottages Blog. All Rights Reserved.